With a motorcycle racing career stretching back to 1982, the vastly experienced Welshman is something of a legend in his chosen profession. 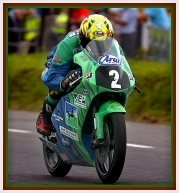 Among his many achievements are 10 Isle of Man TT wins, 8 International North West 200 titles (the only rider to win the 125cc race five years in succession round the 'Triangle' circuit), 18 Ulster Grand Prix victories, 34 Southern 100 (Isle of Man) race wins, the outright circuit win record of race wins at Oliver's Mount, England's only 'pure'road race track. 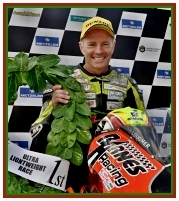 He also holds the record for TT replicas presented to any TT racer in the history of the event, and 2010 saw him go to the line for his 100th TT start, a figure which has risen since then. 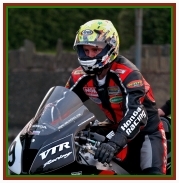 In the past few years Ian has successfully combined his own racing career with that of team owner-manager of Team ILR, a challenging role which he both relishes and enjoys immensely. 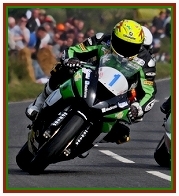 Retirement in 2013 from full-time racing allowed Ian even more time to focus on team management, however he is still a force at the selected events he competes at. 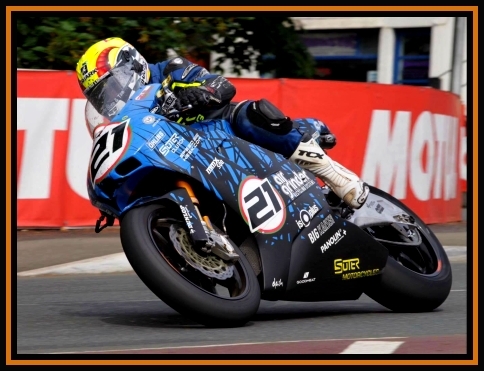 2016 saw Ian come out of TT retirement to race the Suter MMX 500 and spearhead the renowned motorcycle company's exciting Isle of Man TT project on what proved to be one of the most talked about bikes at the famous festival, and in 2018 Lougher has again been entrusted with this role by Suter. On the premier domestic championship scene, Ian will again take his highly respected Team ILR into the BSB paddock in 2018 where, in keeping with the team's ethos, three talented young riders will continue to benefit immensely from his experience. Copyright 2018 IanLougher.com All Rights Reserved.